The terms of cover provided by P&I Clubs are contained in the terms of entry and Club rules. The rules of most Clubs follow much the same pattern in defining the scope of cover for pollution liabilities and similar risks. They are also subject to various exclusions and limits, some of which apply to all P&I risks, whilst others are specific to oil pollution or to a particular head of cover. Cover is normally expressed in broad terms, to include any liability for loss, damage or contamination caused or incurred as a consequence of the discharge or escape from an insured ship of oil or any other substance, or a threat of such discharge or escape. For details of typical claims and issues relating to them see Claims for pollution damage. The rules of most P&I Clubs include cover for penalties or fines which may be imposed for pollution. The terms of cover normally depend on whether the incident involved an accidental escape of oil from the ship or an intentional discharge. The most serious oil spills have typically resulted from maritime casualties, such as collisions and groundings where damage to ships’ hulls has allowed large quantities of oil to escape. Other accidental spills have resulted from causes such as errors in operating valves during pumping operations in port. In some parts of the world fines are imposed for pollution on a strict liability basis, regardless of any fault of those on board the ship from which the oil escaped. Intentional discharges do not necessarily imply intentional pollution, as ships are permitted to discharge oily water in heavily diluted form at sea, as a means of disposing of tank washings and similar waste. This procedure is subject to strict conditions imposed by international regulations, breach of which may lead to heavy fines. Violations have sometimes occurred without fault of those on board, eg due to malfunction of oily water separators; others have involved illicit discharges designed to avoid laborious and time-consuming operations which strict compliance may involve. Cover against the consequences of intentional discharges is normally discretionary, and dependent on the Club’s Board being satisfied that the shipowner took all reasonable steps to avoid the event giving rise to the penalty or fine. Terms of cover against pollution and other marine environmental risks are subject to various exclusions and limits. Some are specific to oil pollution risks, whilst others apply to all categories of P&I cover. Other exclusions and defences may apply under legislation governing the contract of insurance. Oil pollution differs from most other P&I risks in that the cover provided for it by International Group Clubs is subject to its own limit of indemnity, currently US$1 billion. Cover provided by other insurers, such as fixed premium insurance of smaller vessels, is usually subject to a lower limits – at present typically US$500 million in respect of all insured risks relating to any one incident. Standard terms of Club cover for oil tankers also provide for a geographical exclusion of pollution risks in the United States, where cover is conditional on payment of an additional premium based on quarterly voyage declarations. This exclusion may come into play when measures are taken after an incident both to save the ship and to avoid pollution. If the costs involved are allowable in general average they will normally fall on the policies insuring the ship (and the cargo, if it was laden) rather than on P&I cover. The extent to which they are allowable in GA can involve intricate and difficult issues. Similar issues have arisen when anti-pollution precautions have been needed, or leakages have occurred, in connection with hull repair works either in dry dock or afloat. If the costs are recoverable from the hull underwriters, as part of the reasonable cost of repairs, they are excluded from P&I cover. Commonly the shipowner is covered under one policy or other, and issues arise between the two insurers as to which of them is liable to pay. In practice it has not been uncommon for one of them to pay the shipowner in the first instance and then seek to recover from the other. The owner may nonetheless be an interested party if the outcome means that he has to bear two deductibles rather than one. This rule excludes any obligation to indemnify the assured against any claim which he has not already paid out of his own funds. In practice P&I insurers often do not insist on prior payment by the assured, but it is a rule on which they may rely if they see fit, such as when they consider that a claim by or against their assured is of dubious merit. Normal terms of cover exclude any indemnity of the owner against liabilities incurred as a result of war or terrorist risks. Such liabilities are rare, as compensation regimes generally exonerate the shipowner from liability for damage resulting from war risks or malicious acts of third parties. Frequently, however, the exoneration applies only if these risks were the sole cause of the damage, and this may not be the case if other contributory causes were involved (such as a failure of security precautions). Cover removed by these exclusions can be reinstated by P&I war risks insurance. This is subject to separate reinsurance arrangements and to a cover limit which, at present, is normally set at US$500 million. 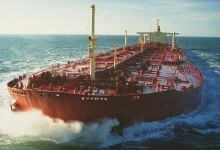 Among various laws of this kind, European regulations have prohibited the provision of insurance or reinsurance services relating to the transport of specified goods (notably oil) to or from designated countries. In order to comply with these regulations, insurers exclude or restrict recovery under their rules where the relevant voyage is in breach of sanctions laws, or where payment of a claim would put (or risk putting) the insurer in breach of them. The implications of these rules are particularly significant in the context of pollution. That is partly because the risk of liability for pollution is of relatively great financial significance, and partly because it is subject to compulsory insurance and certification requirements. Sanctions legislation, at national and regional levels, pose challenges for shipowners and insurers as the range of prohibited activities has widened. Club rules often stipulate as a condition of cover that the owner must at all times comply with various classification and statutory requirements, failing which any right of recovery is at the discretion of the Club Directors.